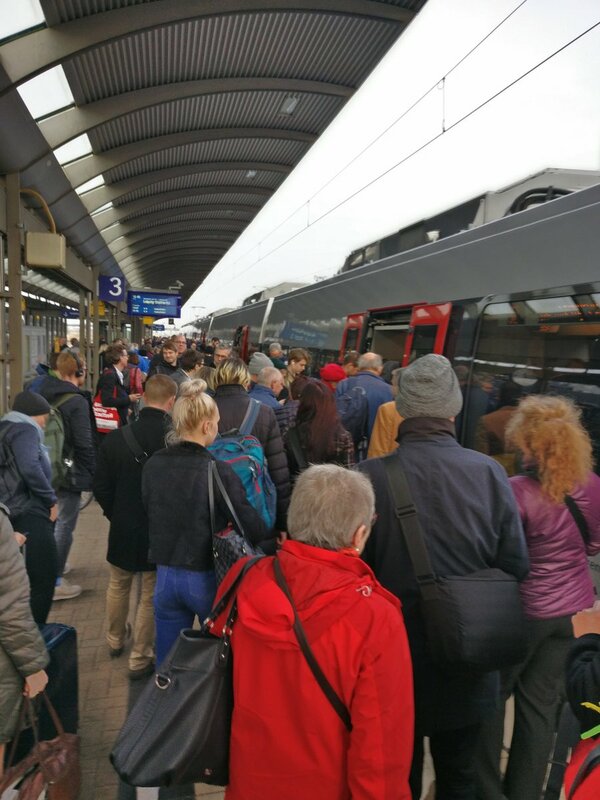 10/ Maybe for some MPs losing jobs is a price worth paying but then how many jobs lost is too many? 18/ Some MPs may wonder what such collusion means for democracy and faith in free and fair elections. @DamianCollins gets it. 22/ MPs the time is now to act in the nation’s interests. Will you stand up and be counted? @NickBoles with all due respect this is what GOV should have worked up before triggering article 50 and asked Parliament to support as a pragmatic compromise. But no. And now the PM champions ending FOM - FOM would need to be (and should be) a key part of your plan. I think we should remain in the EU but would have accepted your proposal if that had been on the table from 24 June 2016. A pragmatic compromise. 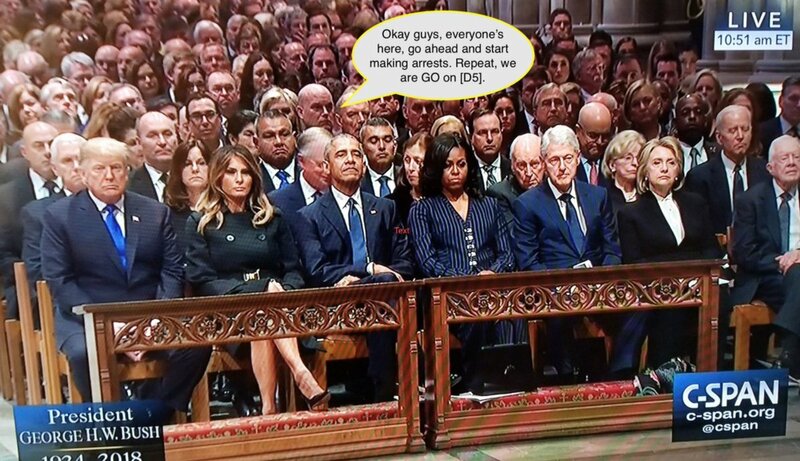 Today is a big day for QAnon world. 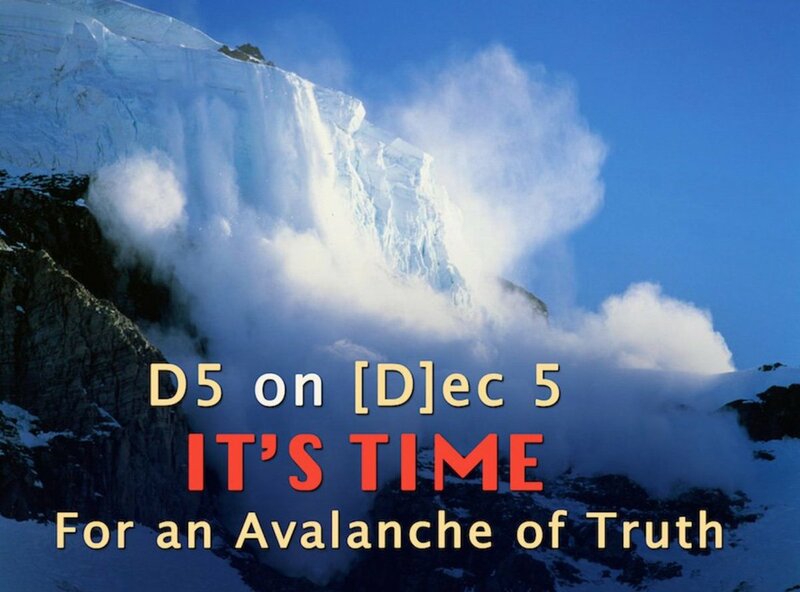 Believers are convinced that December 5 or "#D5" is the day Trump will arrest all his deep-state foes and make their dreams come true. So far, though, this hasn't happened. 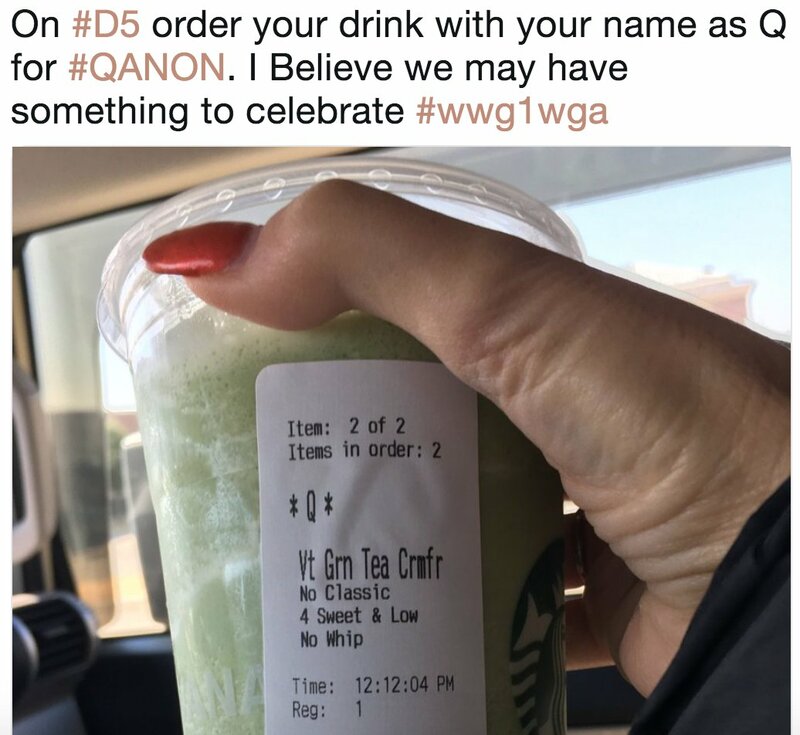 To celebrate #D5, this QAnon person ordered a green tea and gave her name as Q. 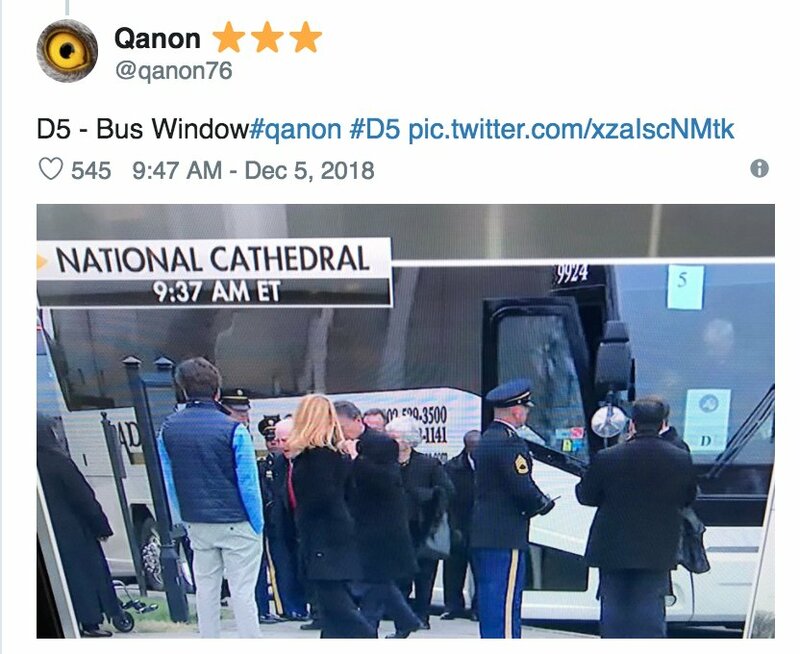 So far, the big QAnon news is that one of the buses at the Bush service said "D5" on it. QAnon believers are convinced everyone on the bus will be arrested in Trump's purge. In factm double-#NBER-day, because I wasn't able to get to it last Monday. Q: Do tax hikes impact economic growth? 3/ This amendment changes this clause 17 of the EU Withdrawal Bill: some Tory MPs say the clerks believe that this retains a reserve power..